All Trak 2 & Blak Trak 6/139.7 PCD steel wheels are now CBL compatible allowing for hub-centric fitment. Centre Bore Locating (CBL) makes fitting ROH steel wheels a breeze. 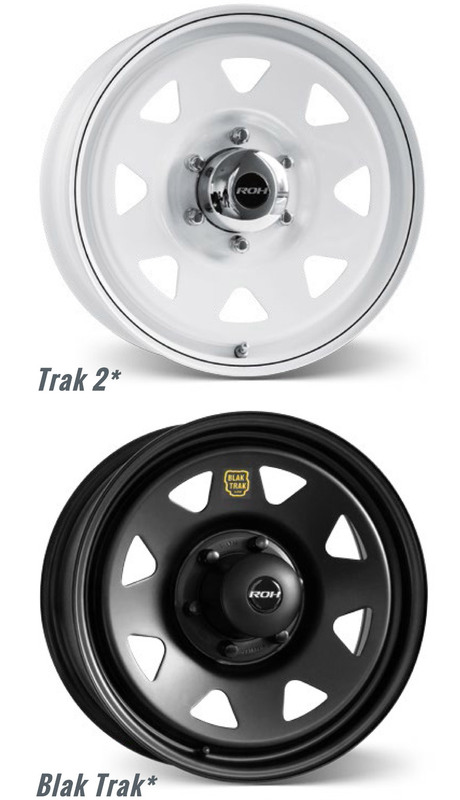 ROH Wheels is pleased to announce that our well renowned Trak 2 & Blak Trak wheels are now CBL compatible. locate 100% on the vehicles factory OEM hub. in centralising the wheel during fitment. This in turn may reduce or prevent minor vibrations, or harmonics which could be present in the traditional fitment of steel 4WD wheels. With the optional CBL availability, ROH steel wheels just got even better! *Please note wheel CBL’s are not a legal requirement & only assist with centralisation of the wheel when fitting to the vehicle. Steel dome caps cannot be used in conjunction with CBL rings.